This one is my son's favorite soap! 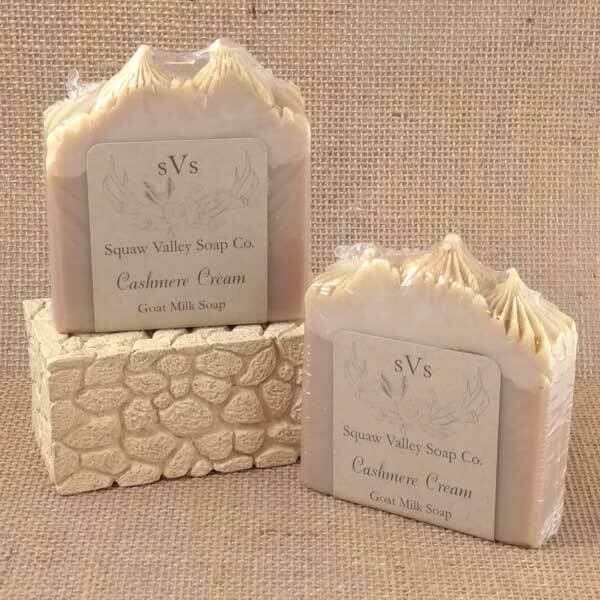 All natural Goat Milk Soap. Men and women enjoy the relaxing blend of Lily of the Valley, Suede Notes, Bergamot, Ylang Ylang, Jasmine, Maroc, Sandalwood, Orris, Amber, Vanilla, Cedarwood, Patchouli, and Musk. Ingredients: Raw Goat Milk, (Saponified Olive Oil, RSPO Certified Sustainable, Organic Palm Oil, Coconut Oil, Castor Oil, Organic Shea Butter) Skin safe Essential Oil Fragrance Blend, Titanium Dioxide, and Skin safe Mica.